Okay, with all due respect to the great actress (who we loved in 30 Rock, by the way), we apologize for the regrettable (but unavoidable) pun. But how else would we bring up “the talk”? We know, we know… you’re terrified. You’ve been putting this off for so long, even buying those hideous bags of ‘pre-sliced’ vegetables in the supermarket when a recipe calls for julienne cuts. Get a hold of yourself! It’s time to come out of hiding and face the facts: Fante’s is here to simplify the julienne. And we did so along with an awesome Autumn salad recipe we stumbled on, courtesy of Israeli food blogger Sarah Melamed. 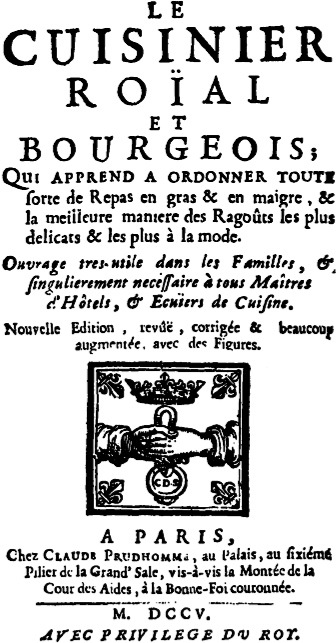 The julienne cut has likely been around longer, but first appeared in print in Le Cuisinier Royal et Bourgeois by famed French chef François Massialot. Standard cuts call for the vegetable (usually carrots, potatoes or celery) to be cut length-wise and trimmed on four sides to produce 7cm long ‘matchsticks’. For those of us who prefer a meat-tastic approach to dinner, you can certainly reproduce this cut with meat or fish, especially in stir-fry dishes. There are ways to circumvent the seemingly tedious knife-work involved, especially if you’re preparing a dish for a crowd. Our upcoming in-store demo on the world of mandolin slicers should cut to the heart of the matter. Of course, if you can’t make it, we’ll happily break it down here. Basically, your choice comes down to two options: a ‘flat board’ slicer or the more entailed ‘platform’ slicer. 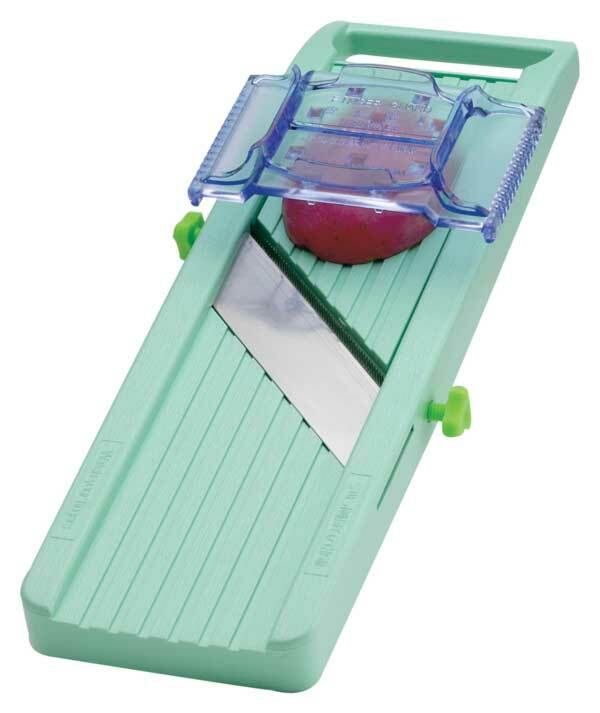 Flat board slicers are hand held options. Some have a single purpose like the Borner Julienne Slicer. These models are inexpensive and perfect if you need one style of cut all of the time. 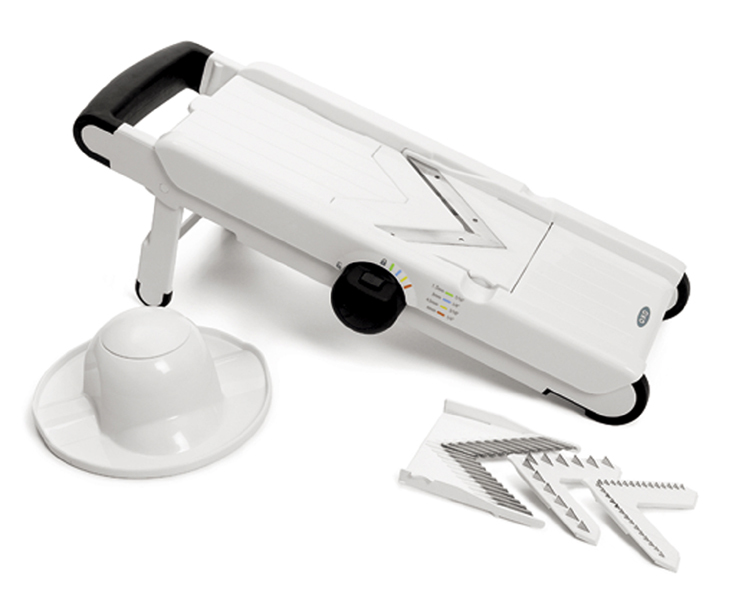 The Kyocera Ceramic Slicer is a similar hand-held version, albeit with a ceramic blade vs the steel blades offered by many other models. When shopping for a flat board mandolin, look for the thickness of the slices. Some flat boards have fixed blades that only yield one size. That is also perfect if you only need one size all of the time. Many models have adjustable thickness settings. Some even have interchangeable blades. The Benriner offers 3 interchangeable blade sizes, from fine to medium to coarse, as well as the option to order replacement blades. 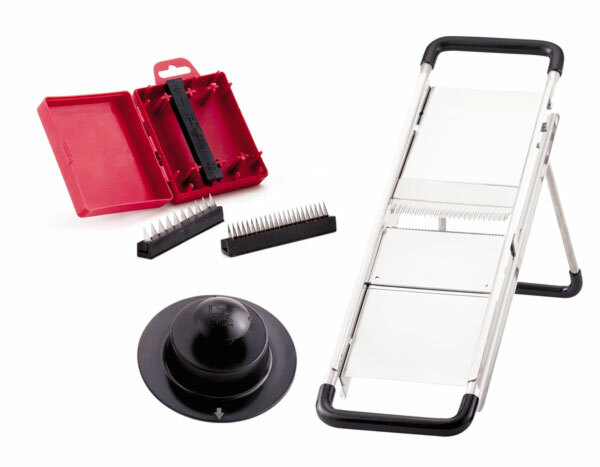 Your next step beyond the Benriner is the OXO Good Grips V-Blade Mandolin Slicer. True, this big fella’ won’t fit into your knife roll like the Benriner, but what it lacks in portability, it makes up for in efficiency and user friendliness. It also features handy little touches, like grippy feet to discourage slipping (nice when you’re dealing with sharp objects) and bowl notches on the end to slice veggies right into the waiting bowl, below. Climbing further up the mandolin ladder, we come to one of the leading platform mandolin options from the Bron company. The Bron Mandolin du Chef, pictured above, is a slightly less expensive (and slightly less bell-and-whistle) version of their flagship Professional Stainless model, but works wonders for almost any home cook. It boasts 2, 4, 7 and 10 mm julienne cutting blades, a platform that is adjustable from 0.3mm to 10mm and 18/10 stainless steel construction (which is the same grade of steel used in most high-end stainless cookware). Now for the really fun part. What can all this slicing and julienning help to produce? Succulent potato gratin? Yes please. Homemade onion rings? Umm, yes again. Something with much less fat? (frown). Since we are trying to eat healthier we found a great fall salad from Israeli food blogger Sarah Melamed at her blog Food Bridge, which incorporates beautiful produce with even more striking knife work. Of course, we would cut corners and use our trusty mandolin, but trust us, the taste is the same. What flavors better showcase the gentle transition to Autumn than apples and fennel? And to have those propped up with bright pomegranate? Amazing. 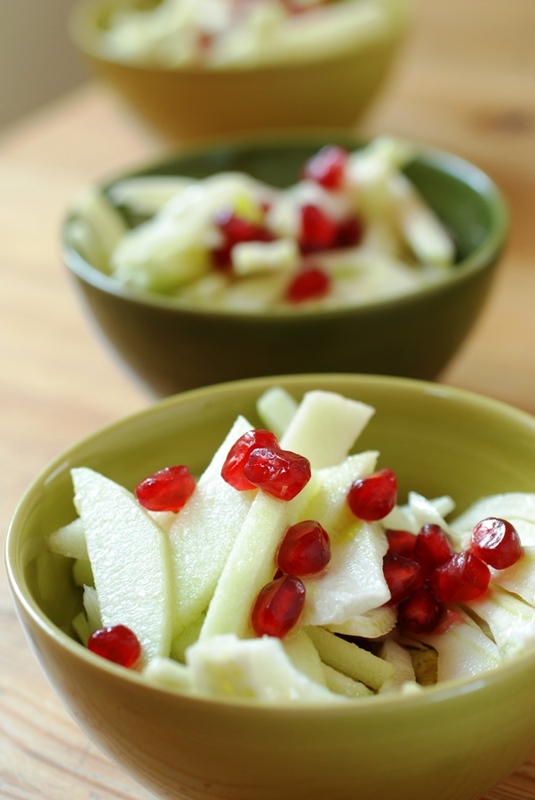 Combine the fennel, apple and pomegranate seeds. Whisk together the lemon juice, olive oil and honey and pour over the fruits. Mix well. Stay tuned for next week…soup week!